Do you need that awesome dip to share at a party? One that is easy to make with very little prep time. How about one that has a spicy kick to it? Look no further than the jalapeno popper dip or as I like to call it my ultimate jalapeno dip. 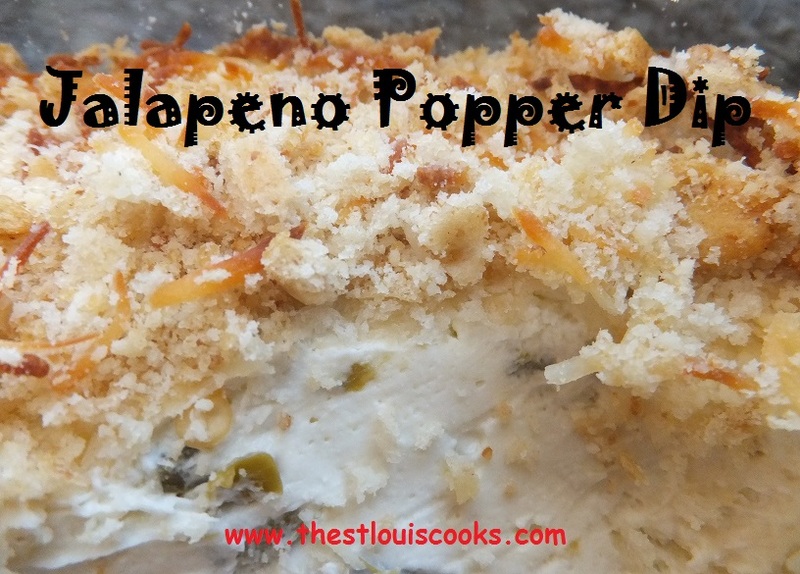 If you google jalapeno popper dip, you will find tons of recipes. There’s a lot of similarities to all of them including this one, however I believe the crunchy topping is the key to this jalapeno popper dip, as well as the fresh parmesan and panko bread crumbs! In a large mixing bowl, stir together the cream cheese and mayonnaise until smooth. This can take some time to get smooth. Stir in jalapenos and green chilies. Pour and spread mixture into a Pyrex or Corning ware dish approximately 2.2 quart or you can use a pie plate. Add the fresh parmesan covering the entire jalapeno popper dip. Next, sprinkle the bread crumbs evenly over the jalapeno popper dip. If planning to bake later, cover and place in the refrigerator. When ready to bake, place the dip uncovered in a preheated oven of 350 degrees. Cook approximately 15-20 minutes or until bubbly and a little browned on top. Serve with crackers, tortilla chips, or wheat thins.